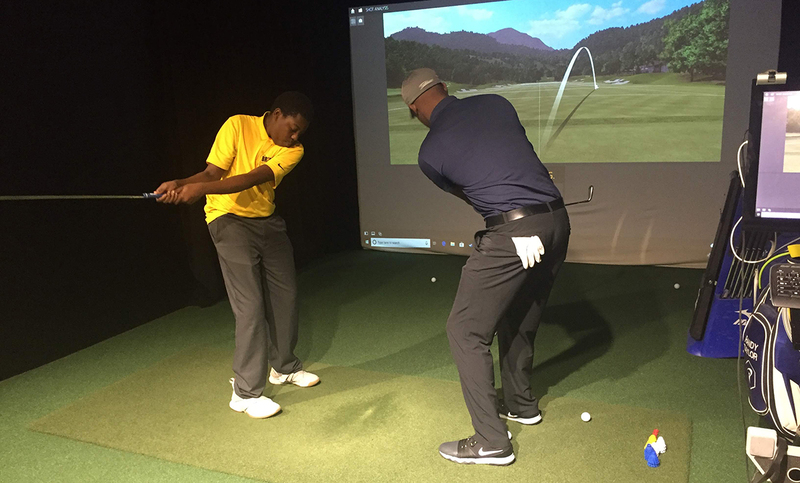 The Bridge Golf Learning Center provides fee-based services for golfers of all skill levels and ages. 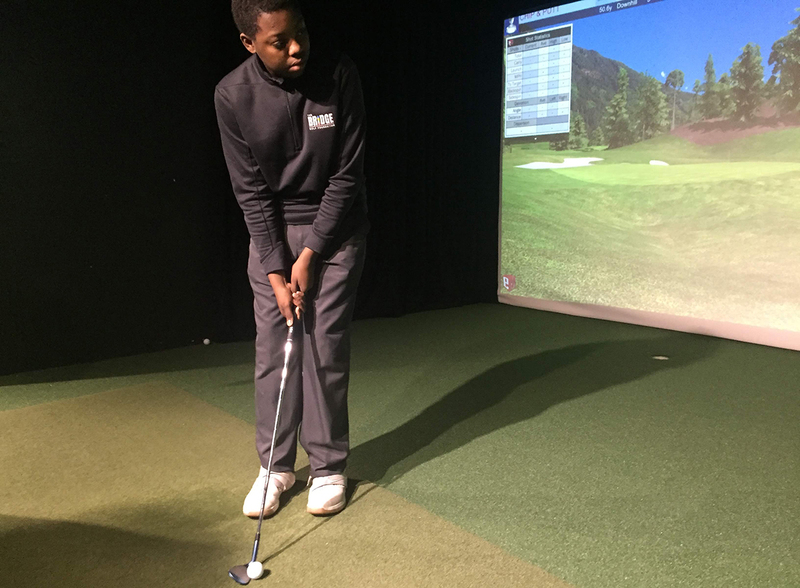 A wholly-owned for-profit subsidiary of The Bridge Golf Foundation, our Center in Harlem is committed to making golf more accessible and affordable for all people. Stephon Husbands, an 8th grader who joined our after school program this fall, lives in Harlem with his mom and 14-year-old sister. He recently fielded some questions from Charlie Hanger, our digital content manager. CH: How did you learn about The Bridge? SH: I asked my friend Josh Arthur where he went after school, and he said, “The Bridge.” I said, “What do you do in that program?” He was like, “We play golf, eat snacks, do character ed, math, STEM.” When I heard that, I knew I wanted to be part of the program, so my mom called, and I joined. CH: Had you ever played golf before joining the program? SH: I’d played with my dad in North Carolina in the summer a few times. He lives in Charlotte. I was 6 or 7, and I liked it, it was fun. Now that I’m playing every day, I really like it. It’s fun, it keeps my stamina up, and I get to hang out with my friends. Chipping and irons are the best part of my game right now, not really driving. Stephon Husbands working with Teaching Professional Randy Taylor. CH: What other sports do you like? SH: Baseball and football. I used to play on a baseball team, and I might again this spring. Sometimes I play pitcher, but mostly I play outfield. CH: What’s your favorite subject in school? SH: Science. We’re learning about cells — plant cells, animal cells, cellular respiration. CH: Has the tutoring at The Bridge had an influence on your schoolwork? SH: Yes. Sometimes I stay after 5 o’clock so the teachers can help me with my math. I’m taking algebra now. I also stay for coding because I want to go to college for coding. We tried the Purple Rain Challenge. When I grow up, I want to do coding, or maybe be a professional baseball player. Monday-Friday: 8 a.m. - 9 p.m.
Saturday-Sunday: 8 a.m. - 6 p.m. Note: The Learning Center is closed from 3-6 p.m. on school days for our after school program. © 2019 The Bridge Golf Foundation. All Rights Reserved.